It had been a long time since I last saw it. I was looking through some old VHS tapes when I came across the copy I bought back in the ’80s, so we watched it from that. I then ordered the DVD, so we could get the best from the soundtrack, and absorbed it again, this time all loud and proper for the full-on aural effect. It’s a film that some would place amongst the all-time greats, some regard as seriously flawed, whilst others just don’t get it at all. The fact that there’s so little dialogue is off-putting for those who like more orthodox forms of storytelling, but this is what makes it so unique and innovative. 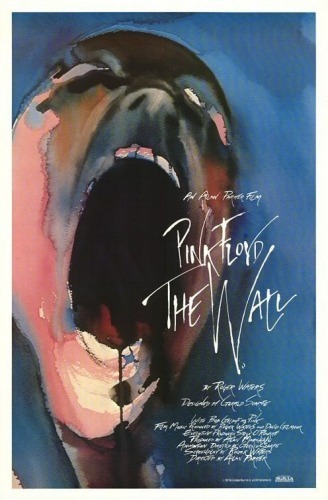 The semi-autobiographical tale of Pink (aka Floyd’s Roger Waters) is told via the band’s songs, Gerald Scarfe’s animation, and the cinematic visualization of its director, Alan Parker. The beginning of the film, with Vera Lynn’s ‘The Little Boy That Santa Claus Forgot’ playing as the camera moves down the hotel corridor, perfectly sets the tone for the often surreal trip ahead as we’re transported through various points of Pink’s life, from his father’s death in World War II through to his eventual fascistic fuelled madness. Its critics might call it bleak and depressing, and Waters himself has questioned its lack of humour, but it’s a film that really touches a nerve, an intensely inspired ode to alienation, with, of course, an astonishing soundtrack – one thing’s for sure, there’s nothing quite like it. Given the collective egos of Waters, Scarfe and Parker, all leading players in their own fields and used to getting their own way, the making of the movie was, as Waters remembered “a very unnerving and unpleasant experience… we all fell out in a big way”. But sometimes you need to suffer for your art, and the result is a spectacular assault on the sense – even now, almost thirty years on, there hasn’t been a modern ‘musical’ that has come close to the ambition of ‘The Wall’. Special mention to Bob Geldolf who plays the adult Pink, and pulls it off in fine style. This came after the peak of his own Boomtown Rats pop success (with whom he recorded a couple of UK number 1’s in the late ’70s), and before he was elevated to his best-known role as the Band Aid / Live Aid organizing ‘Saint Bob’. As an actor Geldolf was very much a one-hit wonder, his next film appearance, a cameo in ‘Spiceworld’ 15 years later, in 1997, was certainly a case of from the sublime to the ridiculous. 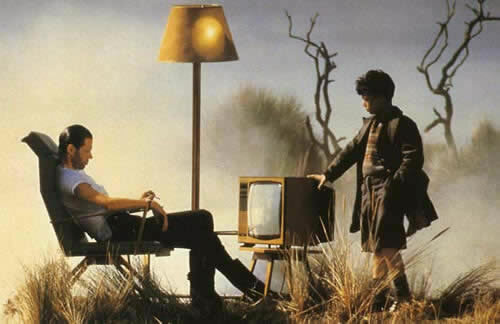 Roger Waters has often been accused of egomania and narcissism, and his fall-outs with the other members of Pink Floyd are well documented, but ‘The Wall’ remains a great triumph and his vision must be thoroughly applauded. 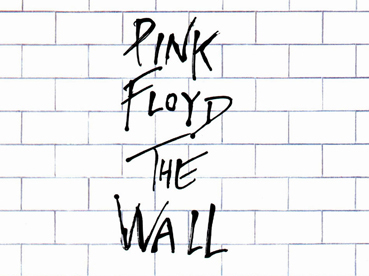 It’s the group’s second most successful album (behind ‘Dark Side Of The Moon’) selling over thirty million copies, and included the surprise Christmas number 1 in 1979, ‘Another Brick In The Wall (Pt 2)’, which was their first UK hit single since they graced the Top 20 with the Syd Barrett written 1967 psychedelic successes ‘Arnold Layne’ and ‘See Emily Play’ at the start of their recording career – the post-Barrett Floyd being very much regarded as ‘an albums band’. The DVD is pretty impressive overall with some great special features and a killer menu design. Highlights include two separate documentaries about the movie – ‘The Other Side Of The Wall’, put together for the release back in ’82, and 1999’s ‘Retrospective – Looking Back at The Wall’, with insights from all three main protagonists, plus other contributors to this remarkable project. Enjoyable piece, Greg. I have an unwatched VHS copy. Maybe now is the time to finally dip in! Certainly touches raw nerves, can never put my feeling on exactly what that feeling is, as you said Greg its the ‘alienation’.